Submitted by lynn on Friday, February 16, 2018 - 12:42pm. We were invited to enjoy this new buffet menu and knew our first stop had to be the advertised lobster station. 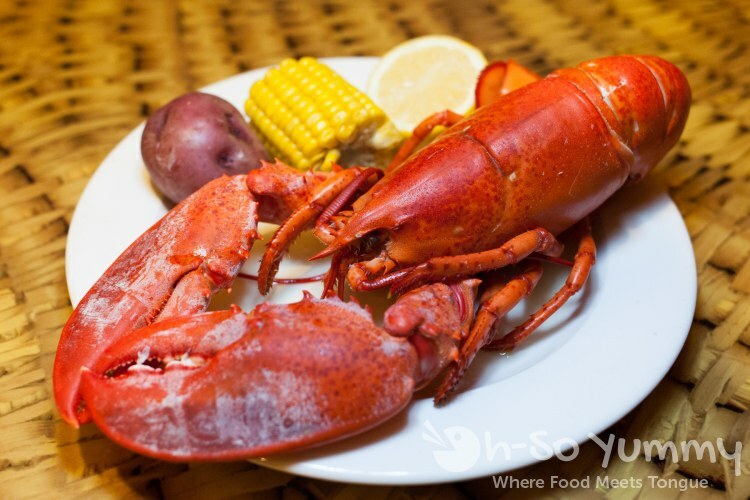 The staff pulled the individually packaged lobster and sides out of a steaming hot pot. At the table, we removed the netting and went to town on that gorgeous lobster. It was cooked just right and the meat was so easy to pull from the shell. I excitely told Dennis that these were pre-cracked, and he slyly replied "Yes, by me!" Haha thanks sweetheart! 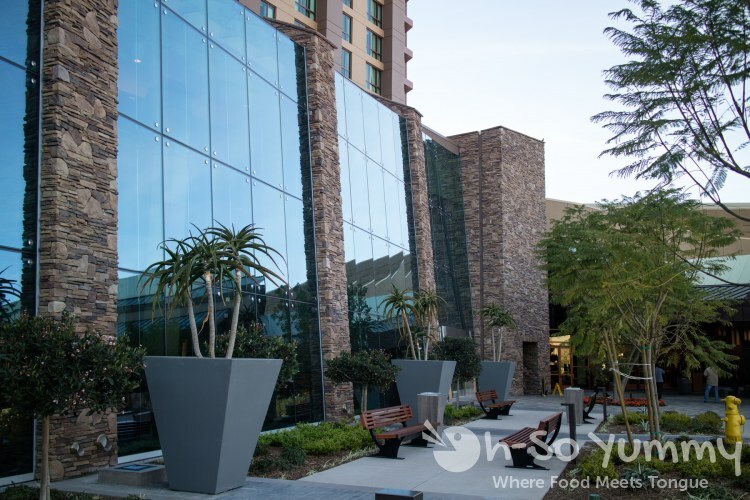 We also met Franco, the food/beverage chef who happens to run two kitchens at Pechanga! 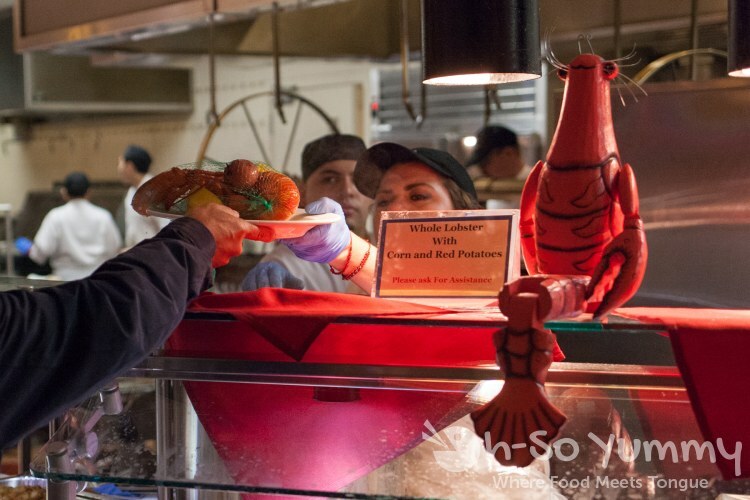 He informed us that they served 2200 lobstser the previous thursday and the number was only increasing with the buffet's popularity! Snow crab legs, dungeness crab legs, shrimp, oysters, and mussels were next. 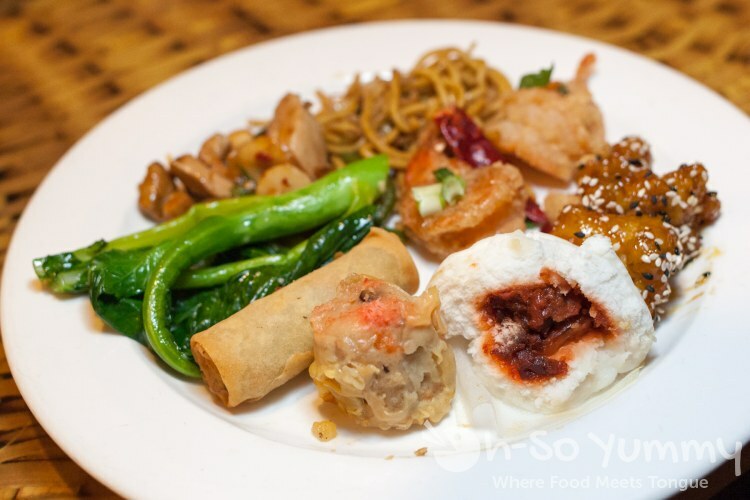 Now THIS is the kind of food I'd expect my mom and aunties to repeat throughout the night! They truly love everything seafood! I imagined their approval as I ate everything on this plate! This fish dish looked so amazing. 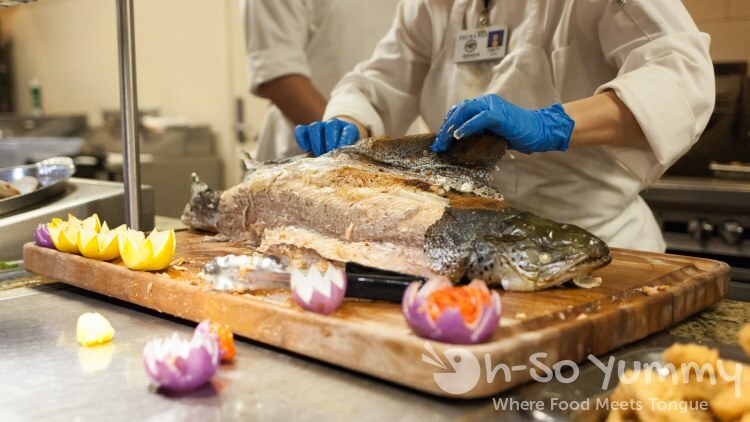 A whole Atlantic Salmon cooked and ready to eat! The staff peeled back the skin to give access to the baked flesh. 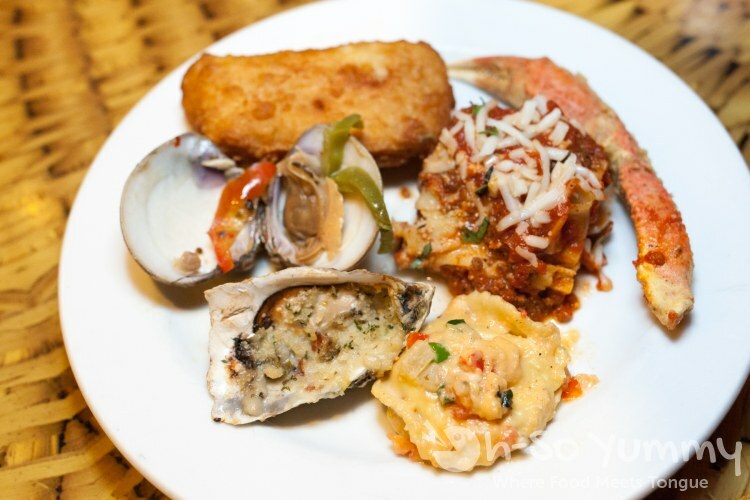 Another seafood-inspired buffet plate contained prepared seafood items such as fried fish (to be paired with chips), lasagna and fried crab leg, and my favorites of lobster ravioli and baked oysters. 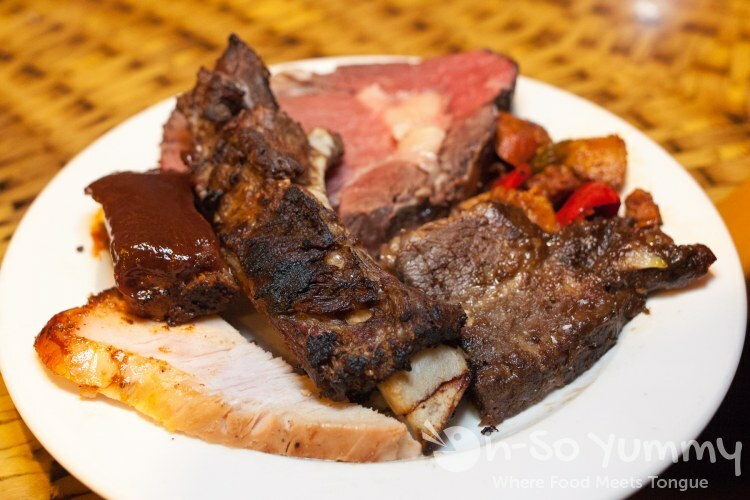 There was a carving station where you could pick up roasted turkey, prime rib, etc. Here's where Dennis's meat expertise comes to play. He found the prime rib very tender and perfectly cooked. A little salt bae action made it perfect to our liking. The beef ribs had good char flavor but he found several areas to be a bit too chewy. The pork ribs were also tender but the thick coating of strong BBQ sauce had to be scraped off before eating. The turkey white meat was very tasty and soft. 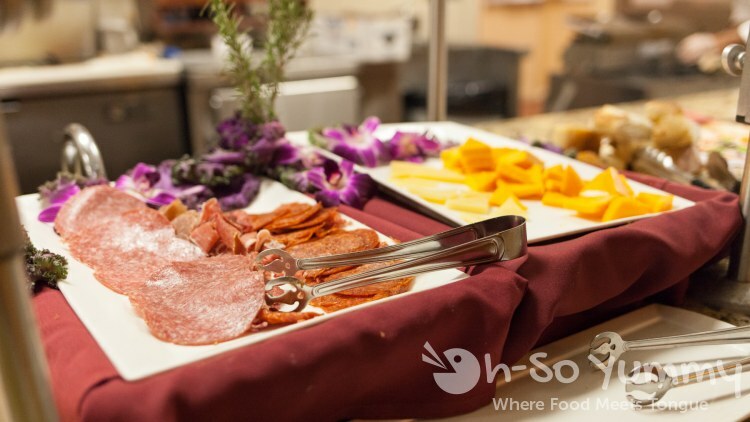 I loved the presentation of the cold cut meats and cheeses! Dennis crafted bruschetta with crostini and tomatoes and we both enjoyed the unique pizza. 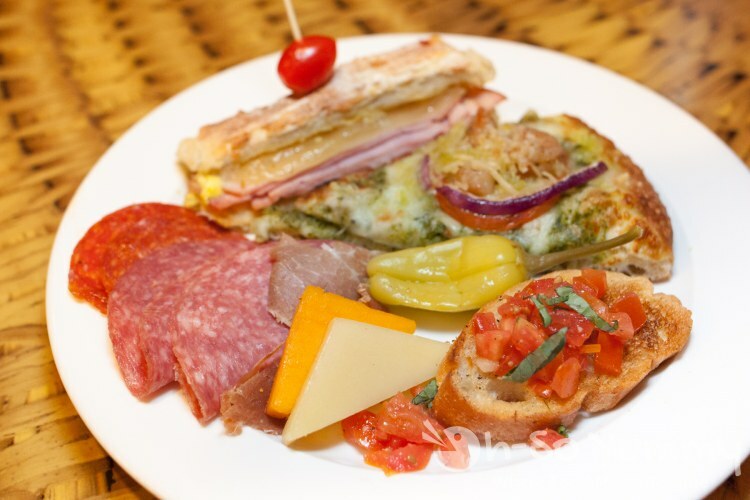 The sandwich (muffuletta style?) was great but it was cut into a hefty sample size! There were two sections providing a taste of Asia so these were next on the list to consume. 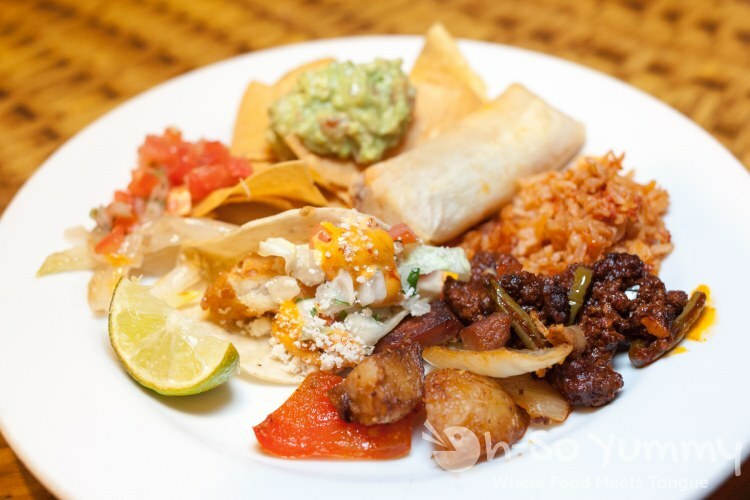 Cuisine from Mexico was another option. Our server Brian recommended the Al pastor tacos which was his favorite and reminded him of home. Dennis saw the sign but no actual food out. Apparently you have to ask for them and theyll get a plate for you. Al pastor tacos were very juicy and were our favorite from this section. 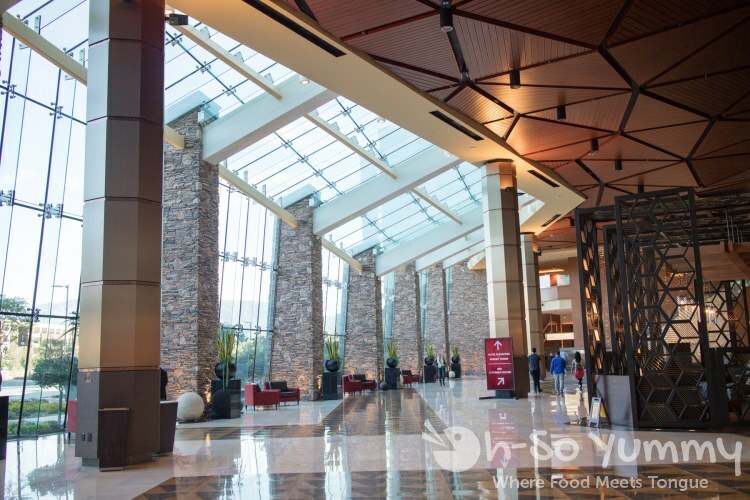 We already knew the night would end well because we attended the Chocolate Decadence Festival two years ago, which showcased dessert from Pechanga. The pistachio mousse was fluffy and not too sweet. The decadent lemoncello cup had a slightly sweet top and some tart cream at the bottom. The yummy raspberry bar had a bottom layer with nuts in there. The tiramisu was light on the coffee flavor so worked out pretty well. And here's a secret... you're able to request a custom milkshake at the Banana Fosters and Milkshake station but apparently you can also get it to go! Big thanks to this anonymous guy who happily posed for us. You can be grinning like him too! 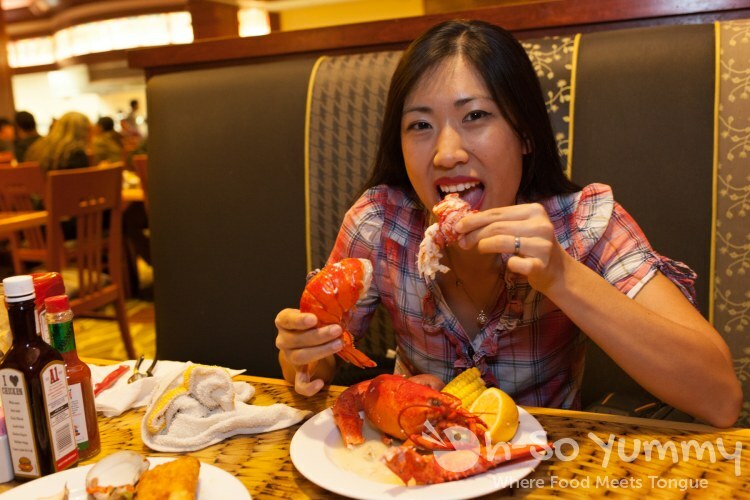 Go get your lobster buffet on! Buffet details: Lobster & Seafood Extravaganza is on Thursdays from 4 p.m. to close at 10 p.m., beginning January 11, 2018. Adults and children three to 11 are $44.99 and kids two and under are free. 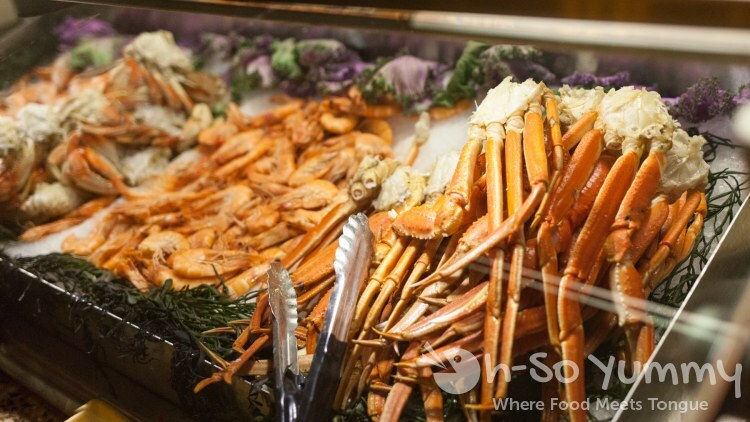 Pechanga Club members receive discounts at the Pechanga Buffet including on Lobster & Seafood Extravaganza Thursdays. Silver members receive $3 off, Gold members receive $6, Platinum members receive $9 off and Red card members receive $12 off. When we were here two years ago, the hotel was undergoing some major construction. The new section is now complete and looks very beautiful! 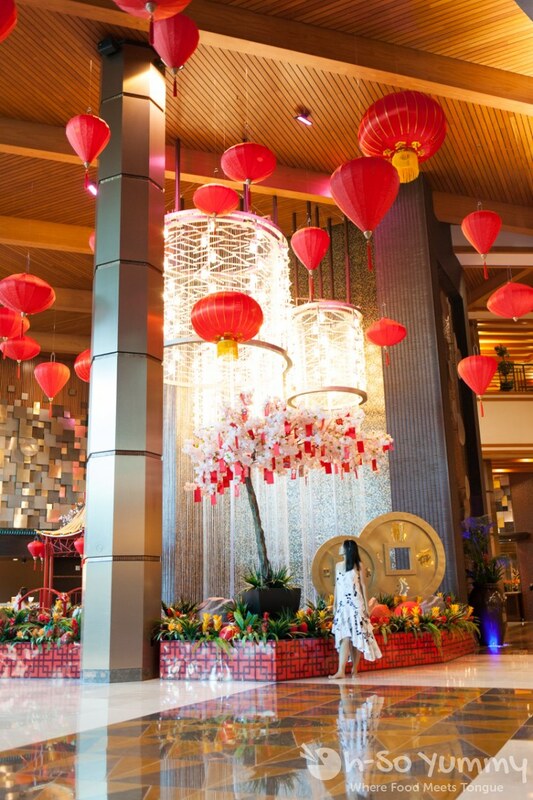 Hallway to the newest hotel rooms. 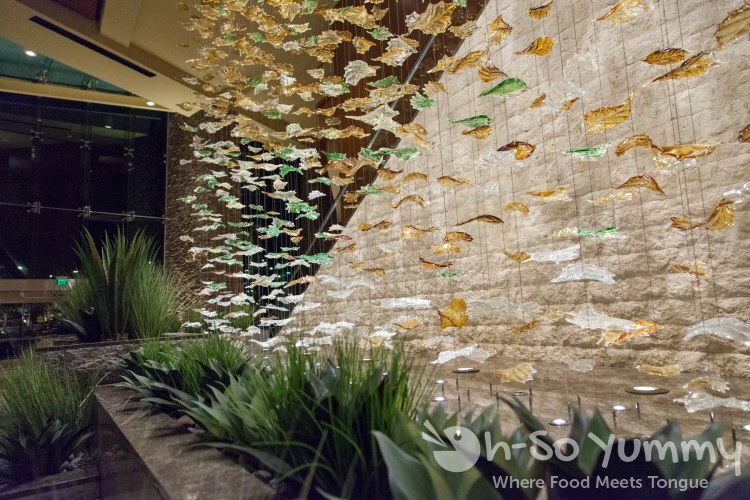 I especially love this waterfall of leaves by the escalators. They are so shimmery at night! 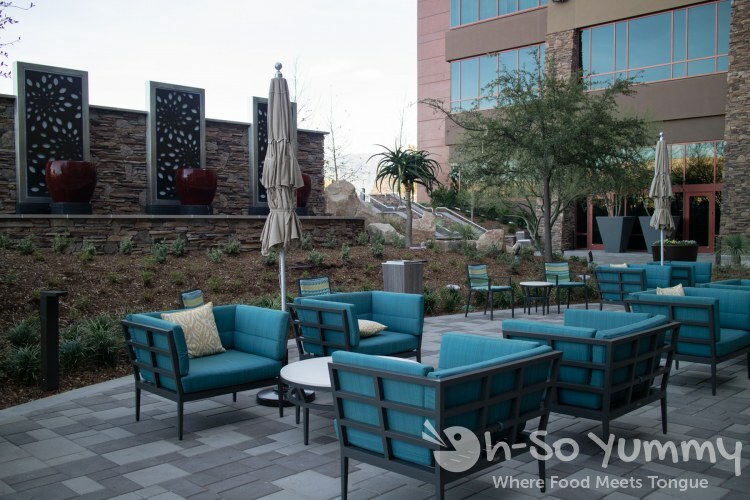 Brand new buildings plus a large outdoor patio. 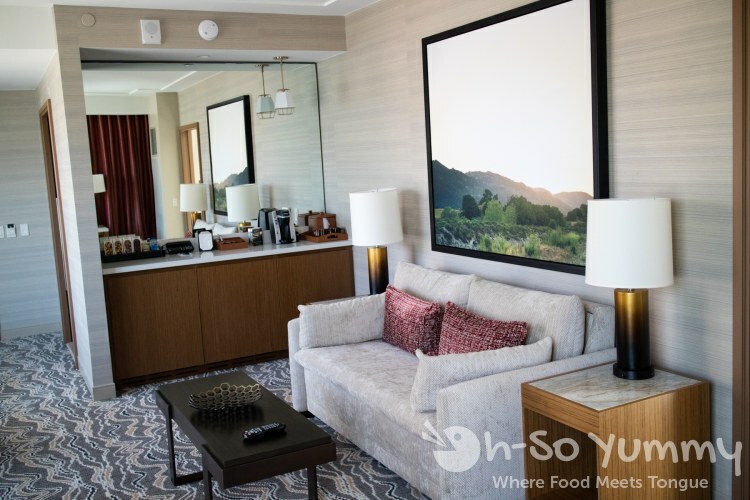 We stayed overnight in a corner suite in the newly constructed part of the hotel. 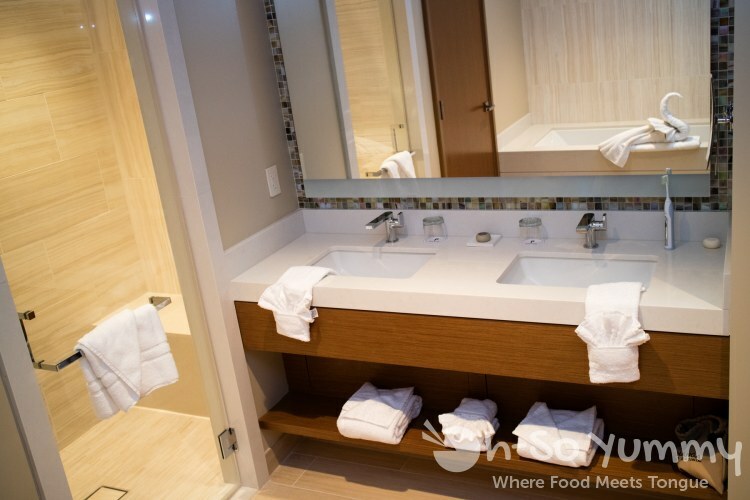 Spacious bathroom with both a shower and a tub. We found bathrobes in the closet. 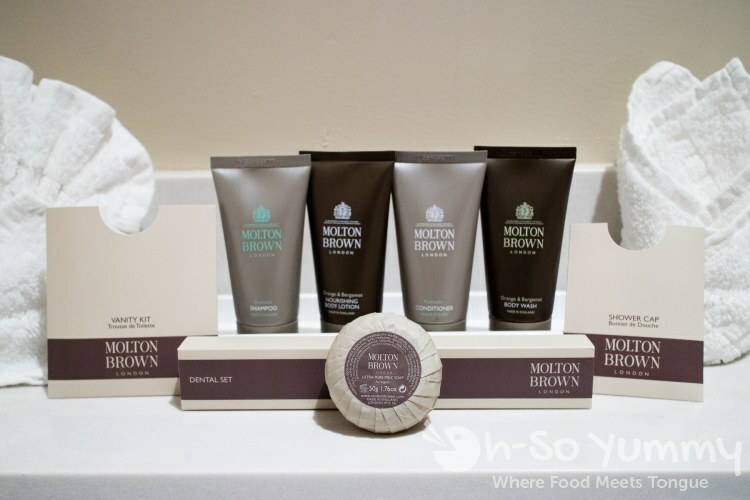 I also appreciate the great bath products by Molton Brown, made in London which we recently visited. Daytime view of the sitting room. 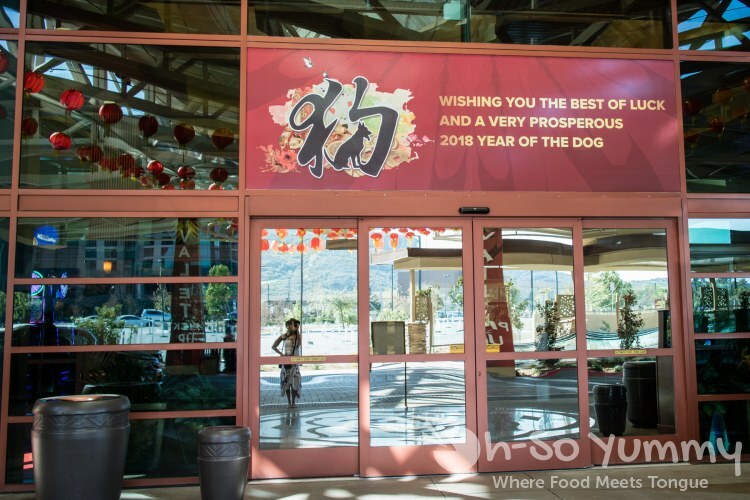 Pechanga Resort & Casino is also welcoming visitors to celebrate the year of the dog! There are dog statues too! Holy Mackerel! How could you eat all that! Looks delicious though. We recently did a wine tour to Temecula and had to withstand loud music in the van on the way back to San Diego. All that lobster for only $45? Must now sign up to go there! I don't do casino buffets often but I'd definitely pick this lobster one if I did! We shared one bag so we could try other foods but next time I would get 2+ for myself! Too bad about the loud music on your trip home. Hopefully you gave them some feedback at the end! Oh my goodness, this all looks so good! We lived in Southern California and never went there! Might have to go next time we visit family in the area! Thanks for sharing. I feel that way about Texas. Missed many food spots (especially BBQ) because I was still a student at the time. Luckily mom was a great cook! Lucky! That's great looking food and hotel you stayed in for free! i don't need to eat for a week now! If only that statement were true... We were starving again the next morning and ran off to find lunch! Great post with some great photos. 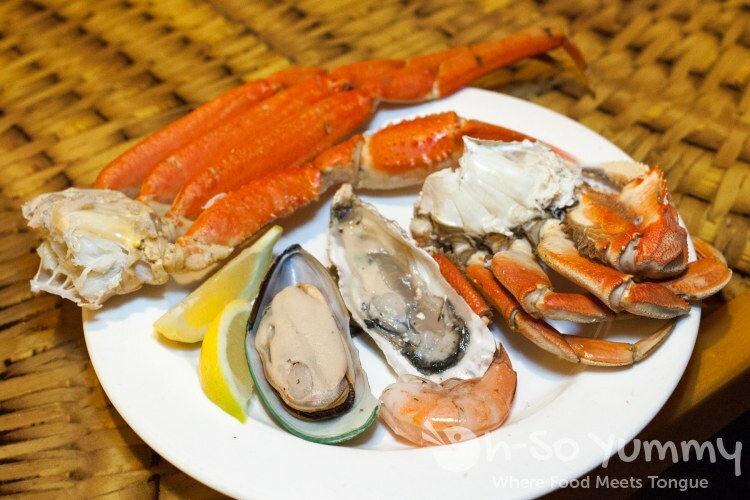 I'm not a huge seafood fan but this was a nice article! 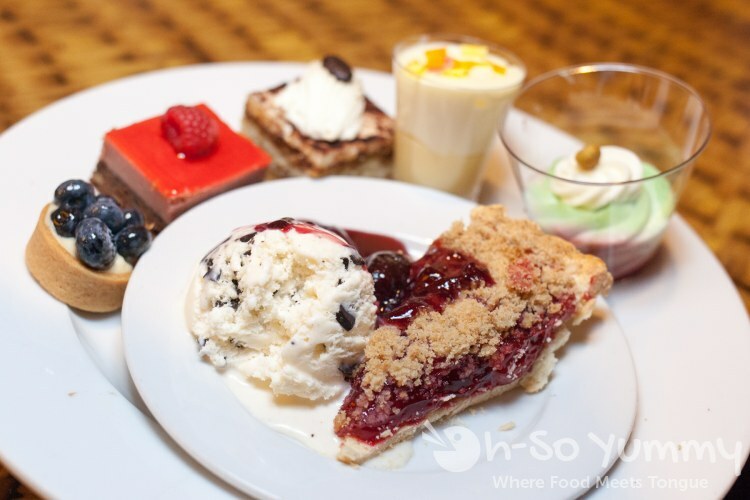 There's a great dessert bar here! A little something for everyone! 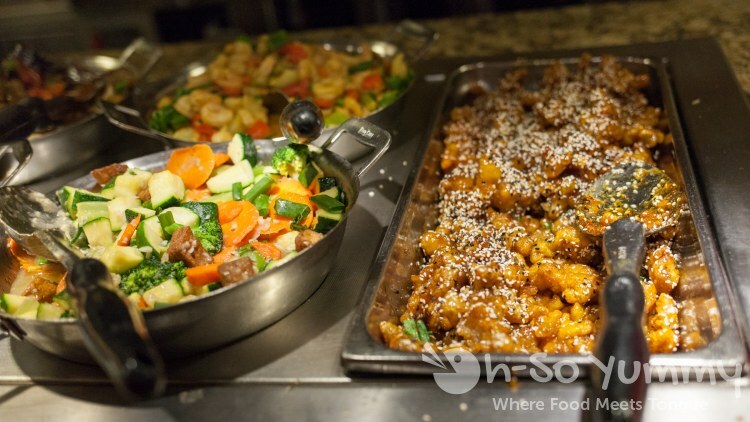 I always wonder how the casino buffets here stack up to Vegas. Looks legit! I could live off of seafood. 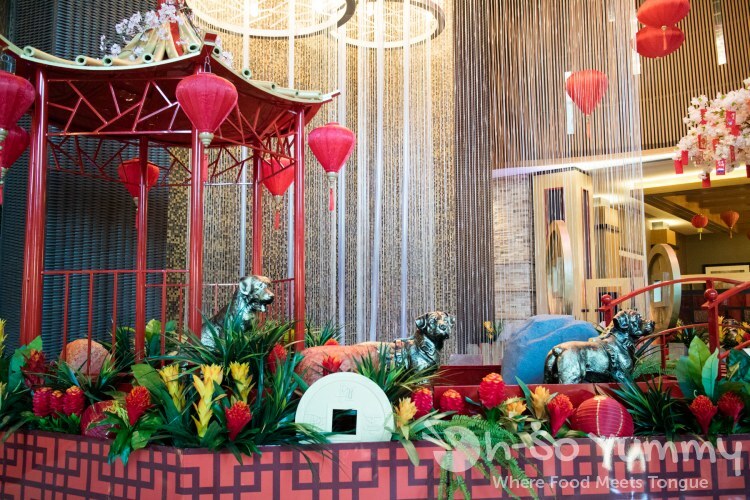 The local casinos do a decent job without needing the multi-hour drive! 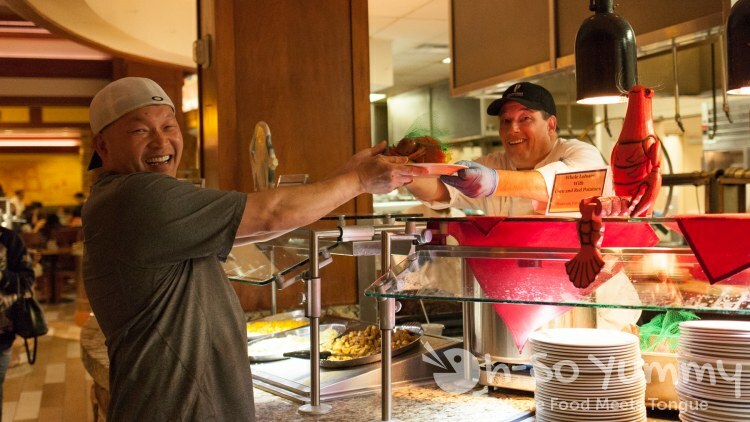 Dennis and I can only handle a few buffets in one year haha!